We were up bright and early the next morning ready for the last part of our road trip. After a lovely breakfast it was back into the car … next stop Melbourne CBD. 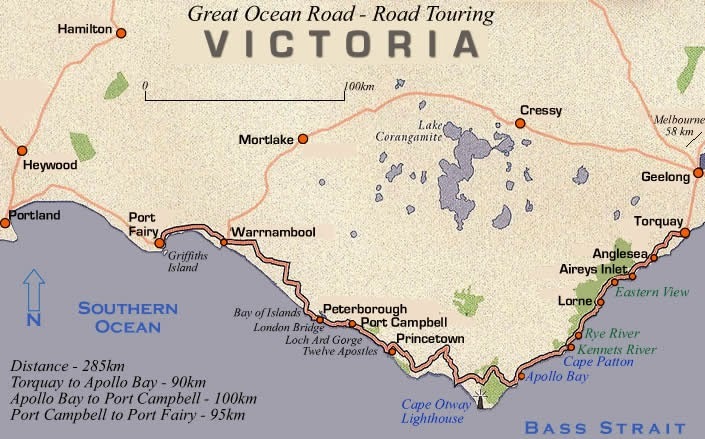 We had two options for our drive back – we could either drive back on the C164 - B140 OR the Great Ocean Road, obviously we opted for the scenic route (GOR). It was going to be a long 374km drive back but we both knew it would be worth it! Our journey back took us through Warnnambool, Peterborough, Port Campbell, Otway National Park, Apollo Bay, Lorne, Torquay, Anglesea. On the way back we stopped off a few times for more photos, it was good to see the GOR from the other side as some of the areas looked completely different particularly the national park. Again the highlight of the journey was the road from Apollo Bay to Lorne, we also noticed an incredible house on the way back, a tower overlooking the sea (pretty cool). The next part of the journey after Geelong was going to require my navigation skills (uh-oh). Our hotel was located in an area called Doncaster which was actually around 20 minutes out of the CBD. We had to be very careful to avoid toll roads this resulted in us having to take the longer route around the CBD. Thanks to google maps and my excellent navigational skills I directed us to Doncaster – it was only until the last minute when Marcus ignored my “turn left” and drove straight past the hotel, thankfully this was easily resolved by a quick U-turn! We were both so pleased when we checked into our 4.5* room (thanks to Groupon), it was luxury and we even had a spa bath. After our 7 hour journey back the perfect way to unwind was by having a glass of wine in the bath, it was then time for dinner. As a treat we decided to head to Nando’s for dinner – regrettably Nando’s did not deliver. It turned out to be the worst Nando’s either of us had ever had! We both had the smallest bits of chicken and when I asked for a fresh salad they decided to cheekily wash the salad to make it appear fresh! Not a happy Marcus or Col! Overall minus the awful Nando’s we had a great day, we were both looking forward to venturing into the CBD the next day.